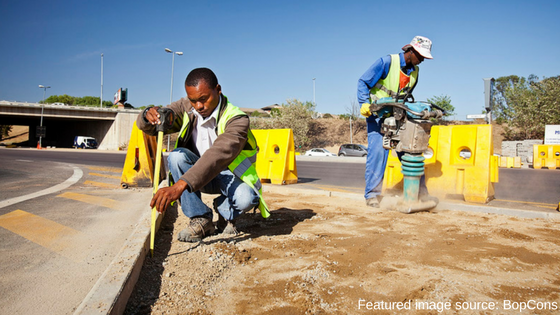 Road workers and flaggers are striving to improve South African road conditions. It’s our job as motorists to be alert, aware and responsive to keep our workers safe while they’re hard at work. It’s been 45 minutes, and you’re late for a meeting - time to skip the line and get moving. Road works are such a pain. . . This mentality ends in thousands of deaths each year. What we as motorists often take for granted, is that construction workers and flaggers are hard at work to provide us with safe, well maintained roads and better infrastructure. Construction zones and road works are notoriously dangerous for both workers and motorists alike. According to Arrive Alive, thousands of people die each year as a result of accidents which happen passing through road maintenance or construction zones. There’s been a significant increase in road works around the country, as the South African government pushes to improve our infrastructure. This means that motorists need to be especially careful, to avoid the number of injuries and fatalities creeping even higher. Impatient drivers who are either speeding or trying to force their way into converging lanes at the very last minute. This is the number one cause of injuries (or death) to road workers. Drivers that are distracted by texting, cell phone calls or passengers, who don’t see that lanes are converging or don’t merge safely. Drivers who don’t obey the signs or flaggers indicating that they need to slow down or stop. Bad lighting or visibility causing drivers to miss signs warning of road works ahead. As a rule of thumb, motorists should always expect the unexpected. Driving through roadworks, you could encounter a range of unexpected conditions from new traffic patterns to narrow lanes, workers in the road, lane closures, detours, slow moving equipment and concrete barriers. Leave early. If you know that you’ll encounter a construction zone enroute, either plan to take a different road or, if the road works can’t be avoided, leave home with enough time to cater for delays. Slow down! Exercise caution when approaching roadworks or a construction zone. Turn on your lights. If you’re driving in poor light conditions (or if there’s mist or rain) you need to make your car is as visible as possible. Avoid abrupt driving manoeuvres. Keep your pace slow and steady, and try to avoid having to slam on breaks. Don’t wait until the last minute to join the correct lane. Indicate with enough time to safely enter the correct lane. Arrive Alive writes, “narrow lanes and restricted shoulders make construction zones a common place for lane-change accidents.” Temporary lanes and shoulders aren’t as stable as regular traffic lanes, and often cause confusion and congestion. Watch out for construction equipment and workers. Workers and equipment are inevitable, unpredictable obstacles at a construction site. Be alert, and keep your eyes and ears peeled for construction vehicles, equipment or workers who need to pass by. Be patient, cautious, and courteous. Despite the delays, you need to remain calm and treat workers and other motorists respectfully. You’re all in the same boat. “Remember, the work zone crew members are working to improve the road and make your future drive better,” writes Arrive Alive. Stay safe on the road by keeping your car well mainatained and running smoothly. Download our guide and keep your car running smoothly for longer. 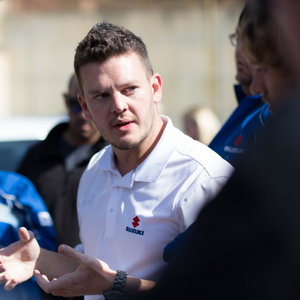 Suzuki does it again - Cars.co.za Consumer Brand of the Year!